lululemon will engage a leading executive search firm to initiate an open and comprehensive search for Mr. Currie's replacement to allow for a smooth transition. VANCOUVER, British Columbia--(BUSINESS WIRE)-- lululemon athletica inc. (NASDAQ:LULU) today announced that Chief Financial Officer John Currie has notified the company of his intent to retire by the end of the fiscal year. lululemon will engage a leading executive search firm to initiate an open and comprehensive search for Mr. Currie's replacement to allow for a smooth transition. 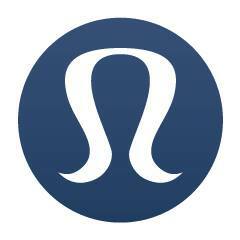 Laurent Potdevin, CEO, stated, "On behalf of everyone at lululemon, I want to thank John for his significant contributions to the success of lululemon since he joined the company in 2007. He played an integral role in taking lululemon public more than seven years ago and his role in shaping the direction and performance of the company since then has been vast. We look forward to working with John through the transition, and we wish him well as he takes full advantage of his retirement enjoying his new boat and getting in lots of powder days on the slopes." Mr. Currie commented, "I am honored to have been a part of such an incredibly talented and dedicated team for the last seven years, and extremely proud of what lululemon has accomplished during that time. We are a very goal oriented company and it has long been part of my goals to expand my involvement in serving on corporate and non-profit boards and the flexibility of retirement will also allow me to take full advantage of the west coast lifestyle that I so enjoy on the water and on the slopes."